July 13, 2015--Have completed the stitching on this piece and am ready to finish it into a stocking. The side view picture shows the depth and nap of the threads. Think I'll make the cording out of the two greens and add white. Love working on projects that take no time to complete. It's just what I needed. July 11, 2015--Finished the cuff on this beautiful stocking. 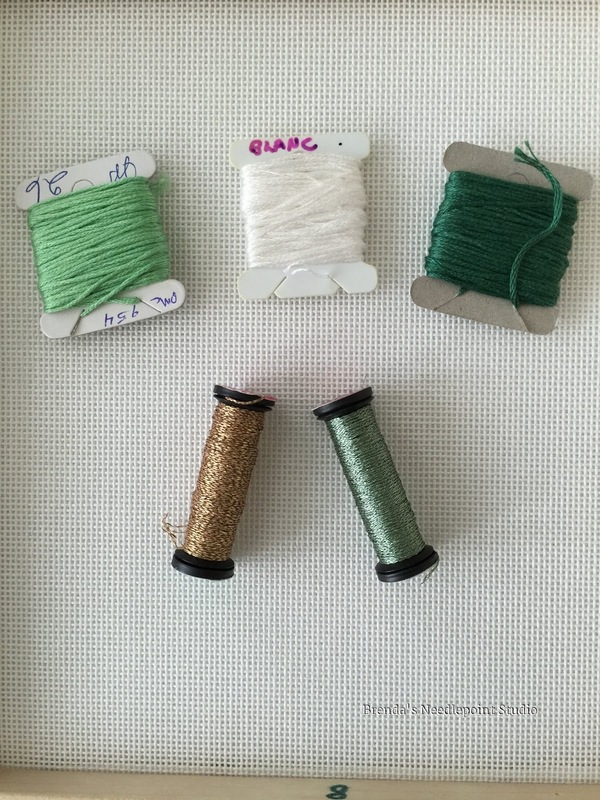 Changed the color of the Kreinik cross stitches from gold to a pale green. Hope it'll work. Here's a photo of my progress so far. 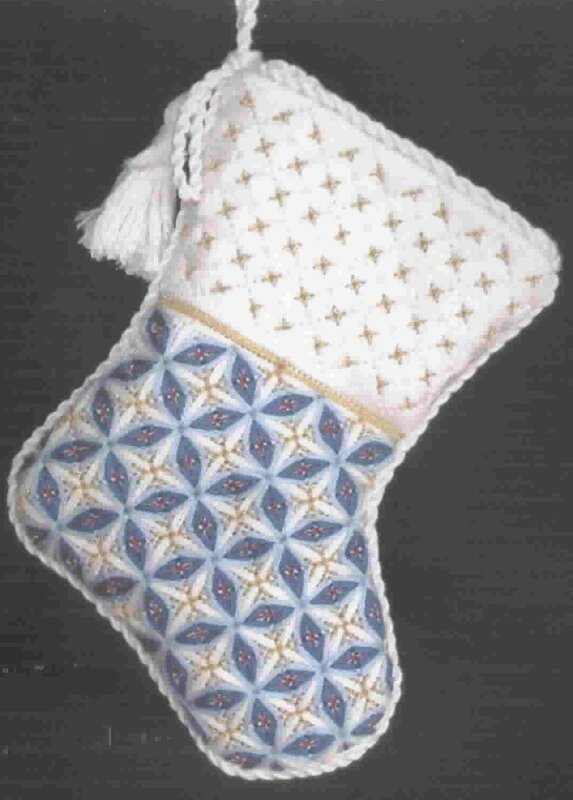 July 6, 2015--My local ANG chapter, Delaware's Seashore Chapter, is stitching Pat Mazu's Delicate Flower Stocking from the 2003-2004 Chapter Project Book. I've got everything together and ready for the class today. The threads chosen are from my stash and even though not the traditional holiday colors, I think they'll be lovely (I love all greens with a touch of blue in them). This is the first post in over a month--was fishing with DH in Canada and thoroughly enjoyed it. I love being on the water and DH makes fishing so easy for me--he baits my hook and takes the fish off the hook. All I have to do is reel it in, and that's where all the fun is. The lakes were so beautiful.